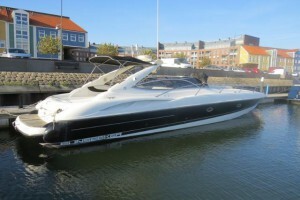 The online foreclosure auction of the Sunseeker Superhawk 48 takes place from 12th till 16th of December on auction platform BVA-Nautic.com. On Friday 12th of December from 11:00 – 13:00 hrs the motor yacht is available for viewings in the marina the Vesting in Hellevoetsluis. Read more.